The Golden Driller monument; a landmark in Tulsa, Oklahoma. Photo by jk42683/Flickr (Noncommercial Use Permitted with Attribution). 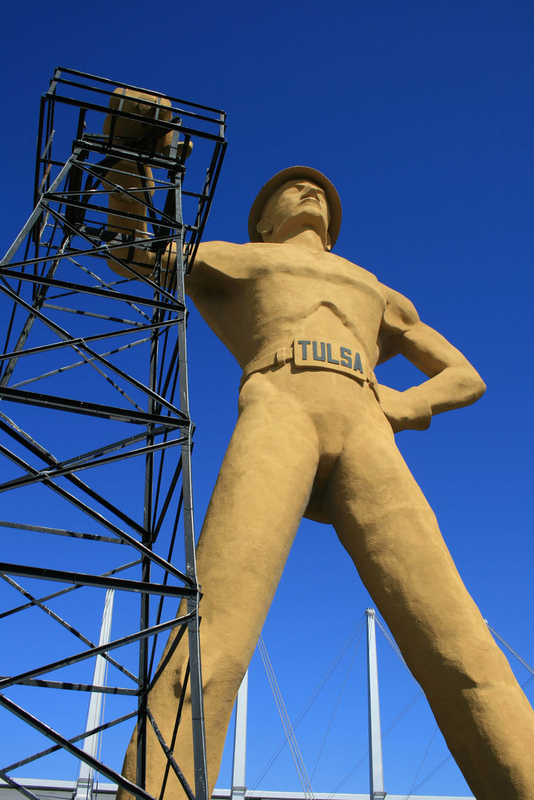 76 feet tall and weighing about 22 tons, "The Golden Driller" monument is located outside the Tulsa Expo Center in Tulsa, a city once known as the “Oil Capital of the World." 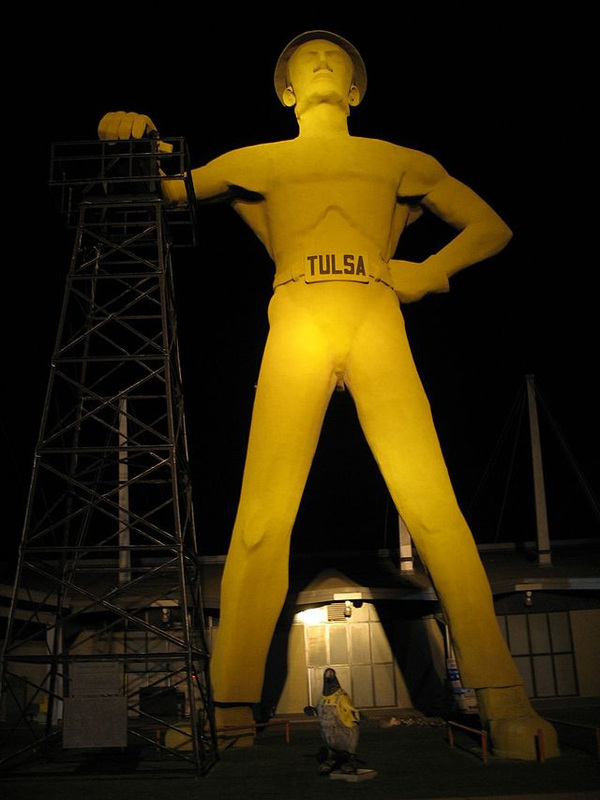 This giant statue is the most photographed landmark in Tulsa. The inscription at base of statue reads: "The Golden Driller, a symbol of the International Petroleum Exposition. Dedicated to the men of the petroleum industry who by their vision and daring have created from God’s abundance a better life for mankind." "The Golden Driller" monument at night. Photo taken by Greg McKinney of Tulsa, OK / Wikipedia (use permitted with attribution / share alike). 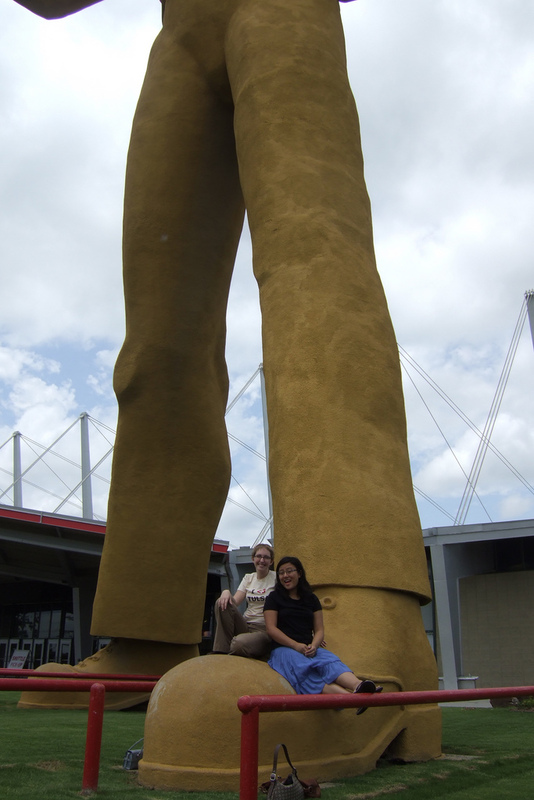 The Golden Driller statue in Tulsa, Oklahoma; people lounge on the boot of giant oilfield worker monument. Photo by May/Flickr (noncommercial use permitted with attribution/no derivative works).